In 1950, at the age of eleven, Walt Disney's movie "Destination Moon" started my interest in space. Later, as a White Sands Proving Grounds Co-op New Mexico A&M physics major, my interest was further peaked upon seeing Russia's sputnik go overhead every 90 minutes. It was during my first work phase at WSPG my high school typing skills had me typing a hand written paper on the possibility of launching a basketball sized satellite using a Army ballistic missile. When I asked why they had not returned the paper to me for corrections and finalization, I was told it had been classified SECRET and I was not allowed to see it. Duh! Upon graduation and following my military service, again stationed at White Sands Missile Range, I went to work for Lockheed Electronics Company at NASA's Manned Space Center on the Gemini, Apollo, Skylab, Apollo-Soyuz, and Space Shuttle missions for twelve years. Carl Sagan reinforced my interest in space exploration with his Cosmos TV series and I became a Charter Member of The Planetary Society. 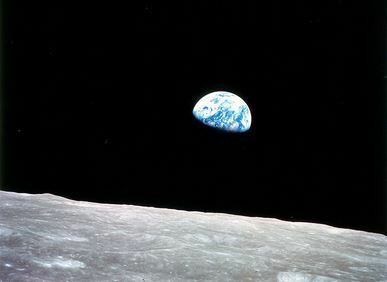 I forgot to mention, the Apollo 8 mission on Christmas Eve was my most memorable during my Manned Space Center days. I recall watching our computers blink their lights showing we were receiving real time data from the space craft. When Apollo 8 went behind the moon the lights froze indicating LOS. We didn't know if we had lost the mission or just the signal as it went behind the moon. The next 10 minutes of my life were the most anxious until we were relieved to see the lights blinking again indicating we were again receiving real time data. My 77 year old memory gets a little jumbled these days. I discovered "Destination Moon" was not a Disney movie which I apparently confused with the TWA Moonliner in Disneyland back in the 50s. So both, stimulated my space interest at the time.